Madeleine received a doll bed for her birthday this past weekend. The doll bed is so cute and her dolls have had more naps than ever. The only thing their naps were missing was a nice cozy quilt, of course! I wanted something fun and super easy, so this is what I came up with. I love that the hair bows add lots of color, but still keep it clean and simple. 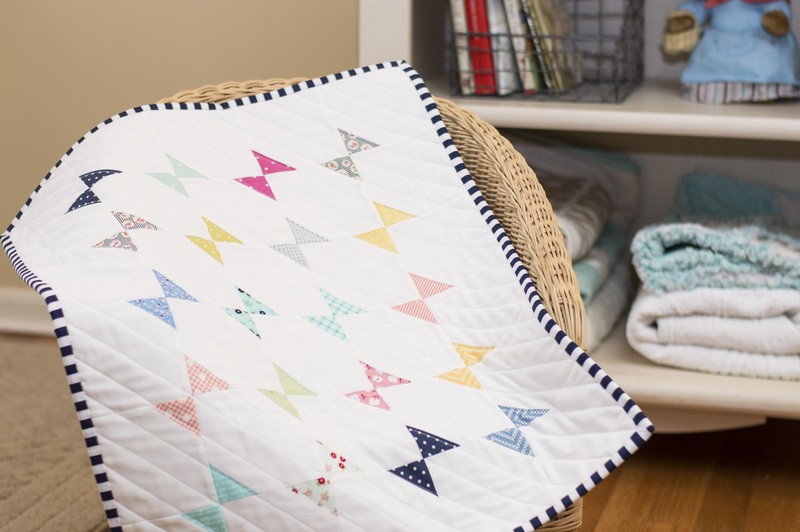 It’s a great scrap buster quilt and sews up so fast that it makes a great weekend project as well. Finished quilt size is 20 1/2″ x 24 1/2″. Each block measures 4 1/2″ (unfinished). All seams are 1/4″. Tutorial is for quilt top only. 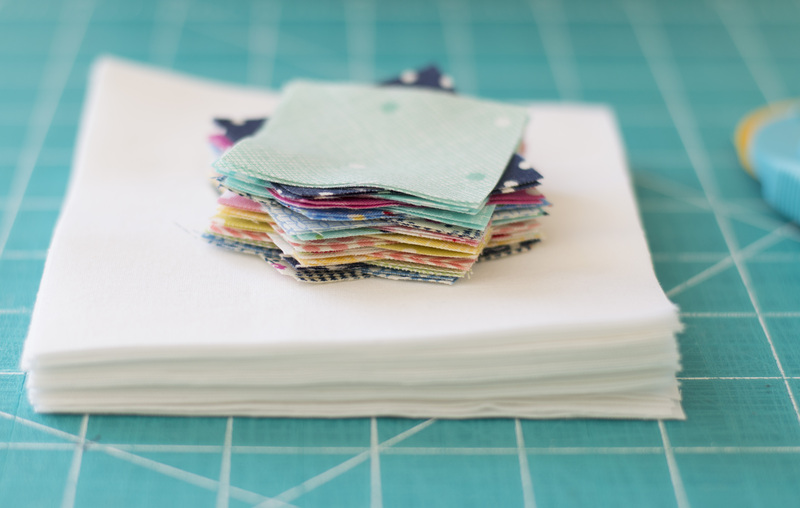 Cut your white fabric into 30- 4 1/2″ squares. 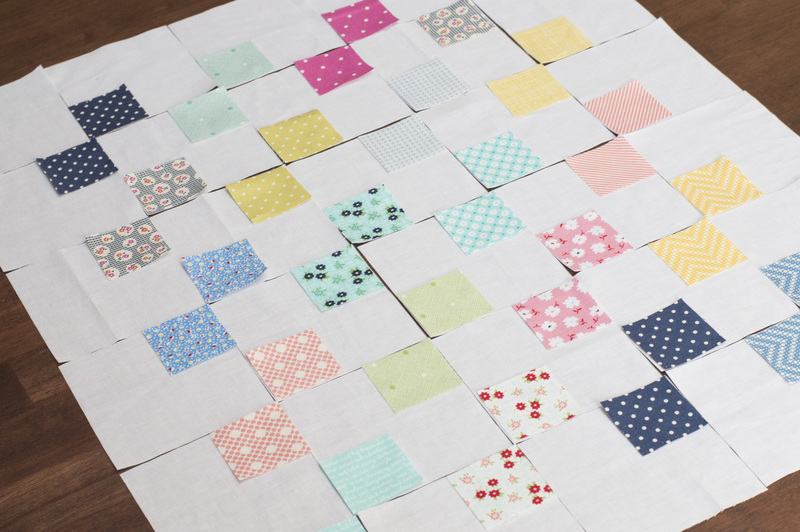 Cut each scrap piece into two 2″ squares. With a fabric pencil, draw a diagonal line across the back of each 2″ block. Cut the corners off, leaving a 1/4″ seam. Open and press seams. Now you have a new 4 1/2″ square! 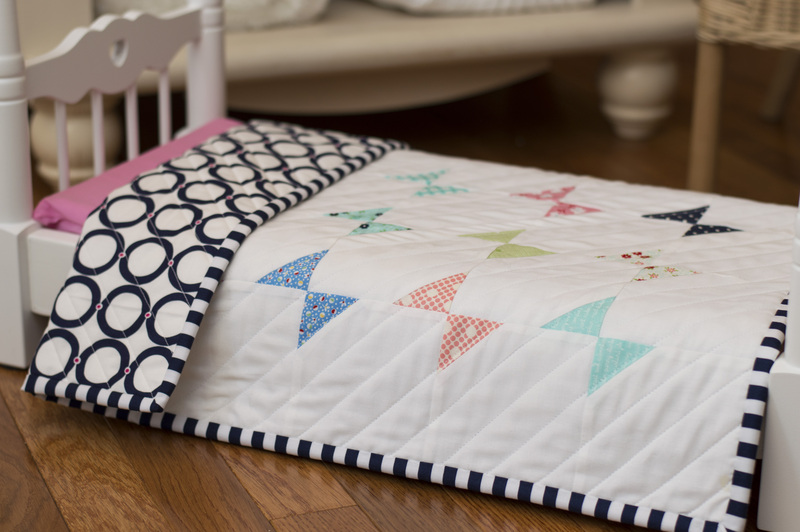 When all your blocks are finished, sew them together! 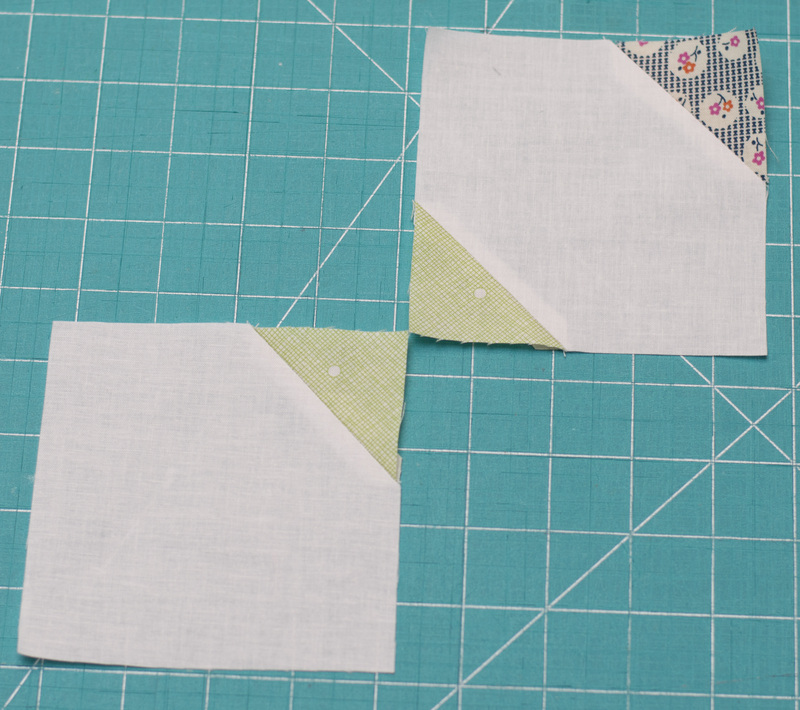 I sewed the rows of six blocks together and then sewed the five rows together. Quilt and bind as desired. If you have any questions on this tutorial, let me know! I will be happy to answer them. 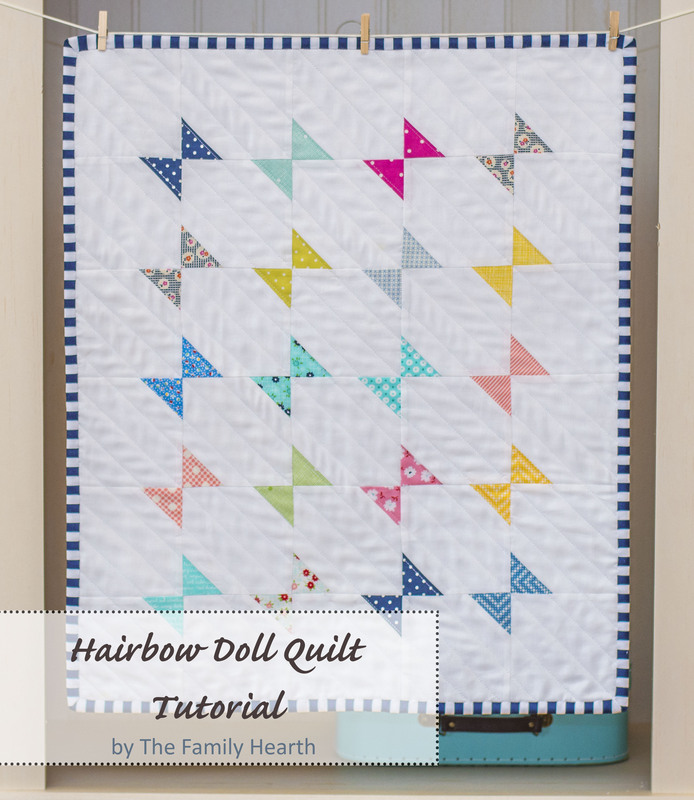 If you are on Instagram, share your picture with the hashtag #hairbowdollquilt. I would love to see what you make! !